Gerhard Steenkamp Gerhard completed his BVSc degree in 1994 from the University of Pretoria’s Faculty of Veterinary Science at Onderstepoort, after completion of his BSc (Zoology) at the same institution. He completed the inaugural course in dentistry offered through the European school for Advanced Veterinary Studies in 1998. Professor Kurt-W. Bütow BSc, BChD, MChD(in MFOSurg), DrMedDent, PhD, DSc(Odont), FCMFOS, FIBCSOMS Emeritus Professor / Chief Specialist and Head Department of Maxillo-Facial and Oral Surgery, University of Pretoria & Former Honorary Consultant of the Military No.1 Hospital, South Africa. Professor Darlene Lubbe, Darlene Lubbe is an Associate Professor in the Division of Otolaryngology at Groote Schuur Hospital at the University of Cape Town, South Africa. Her main interest is endoscopic sinus, skull base and now more recently, transorbital surgery. She currently runs the Karl Storz training programme in endoscopic sinus and skull base surgery for Sub-Saharan Africa. 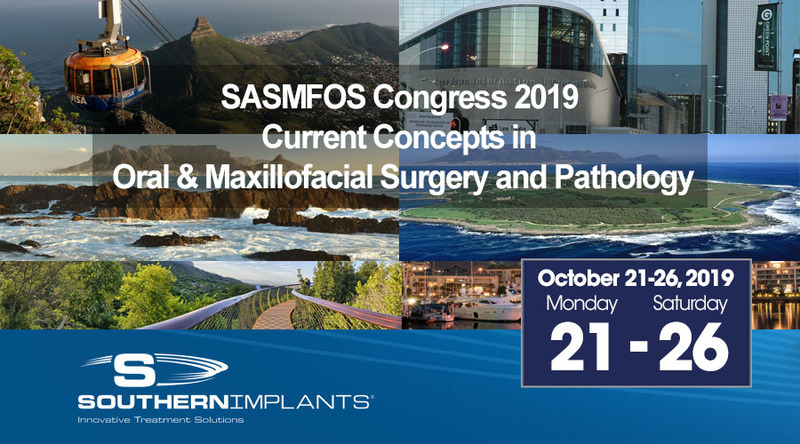 ANZAOMS is pleased to join with The South African Society of Maxillo-Facial & Oral Surgeons, the British Association of Oral and Maxillofacial Surgeons and the International Association of Oral Pathologists to present “Current Concepts in Oral and Maxillofacial Surgery and Pathology” – 21-27 October 2019. ANZAOMS and the ANZAOMS Research and Education Foundation and Trust will also be holding their AGMs in Cape Town during the congress (with live audio/video link for Members in Australia and New Zealand who are not in attendance in Cape Town).